Si te has decidido a portear durante el invierno… ¡Lee este post que te ayudará y aclarará algunas dudas! ¡Muchas os estaréis preguntado porqué hablo de bebés si podemos portear a un niño! Pues aquí van algunos consejos para vosotras, en caso de portear a un niño que ya camina es recomendable colocarle el abrigo antes de colocarlo en el portabebés y que el porteador se coloque su abrigo, es decir, que el portabebés quede por fuera el abrigo para así facilitar que el niño pueda subir y bajar sin problemas. ¡Y hasta aquí mis consejos para mamás y papás porteadores estos días de frío! Every year when the weather turns cold, I publish this post to remember that you can portage equally well to our child. Luckily everything is invented and there are countless alternatives to continue taking it nice and warm. 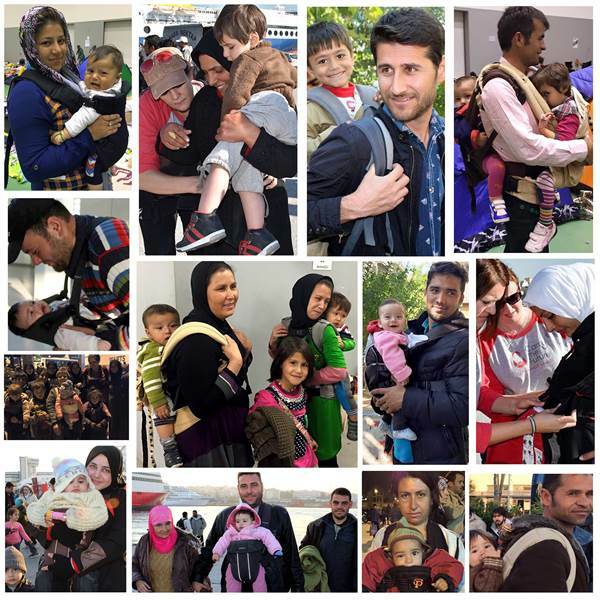 There are two families: shelters Porte (Polar, parkas or similar) and blankets. The former have the advantage that you can use without children and in pregnancy, and many serve both to bring the child in front or behind. 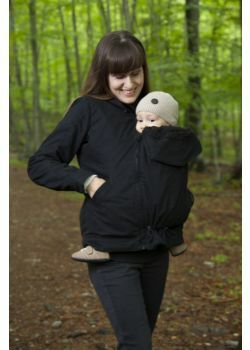 The Momawo is very well done, and sure I'll still use it even if you do not take your baby. 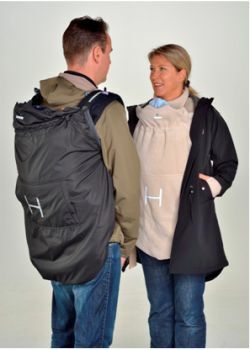 The advantage of the cover, is that besides being cheaper is not size so I can carry both your partner like you (somewhat more difficult with a coat or polar) and so you can continue using your coat. 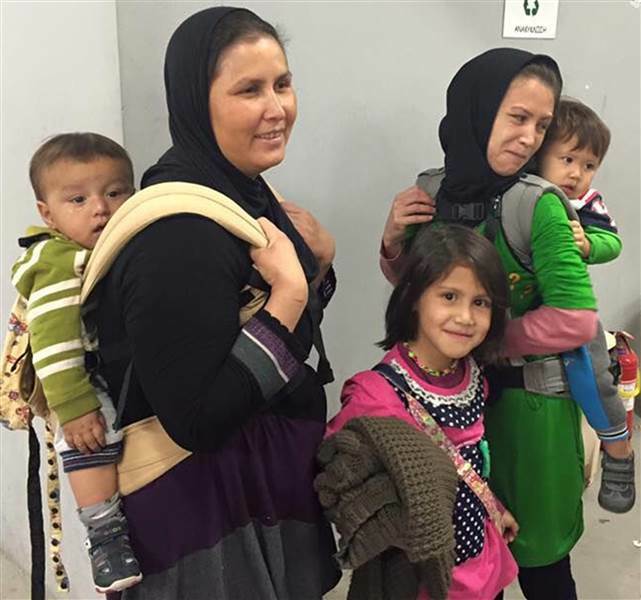 A California mother, seeing that many refugees in Greece were with children in their arms, thought it may fare well, at least, to have free arms and began a campaign to get carrier. Thousands of parents have joined the cause "Carry the future"And what looked like the struggle of a small ant became la emocionante historia de un viaje para llevar miles de portabebés a los refugiados. But the campaign continues. Enter the Indiegogo campaign for carrier 10000. The correct position of the baby is legs forming a M (in frog, with higher than the bum knees) and back forming a C.
Must be set to Baby so that it is lying close to the wearer's body (If you bend over, the baby does not come off your body almost). The baby should be sufficiently high to give him a kiss on the crown. So the weight is distributed well over the hips and lower back are not loaded. Theas shoulder straps should be wide so that the weight is distributed well and should not be near the neck to avoid loading the trapezoids. Therefore, I have prepared the following post where I explain the precautions to be taken to bring your son or daughter your right nearby! 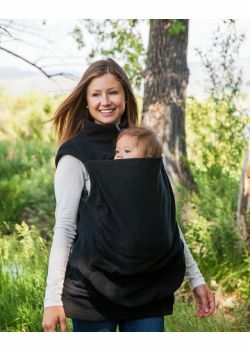 You know I'm a fan of using a carrier but is important to do well and respecting the following rules to carry the baby with maximum security! Happy Porteño! The baby's nose should be clear at all times. Never cover your head and face cloth baby to see him at all times. Baby's chin should never touch his torso. 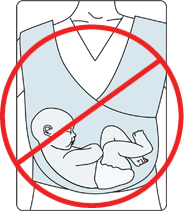 This rule always applies in both car seats and a baby carrier. This position can restrict the baby's ability to breathe and that newborns do not have enough muscle control to open their airways when placed in this position. Something you would not do during pregnancy due to increased risk of falls, nor do you need to carry a baby. Protect your baby against external agents. His limbs and head may need sunscreen. 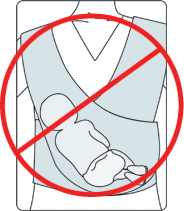 Do not entertain your baby too and use a blanket when it's chilly. Be aware of what your baby can reach, particularly when carried on the back. 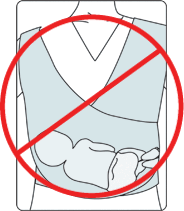 Be careful when consuming hot foods or drinks when your baby is in the carrier. Hold her arms when you lean or not bend. And do it always bending your knees.